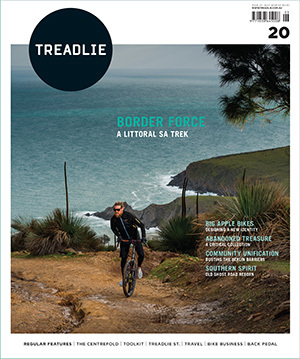 Published in Treadlie issue 20, March 2016. Well known chef, Jason Roberts, combines food, fundraising and cycling in a continuing effort to provide school breakfasts for kids in need. Being a chef is a stressful job. Long hours, tight margins, hot tempers and demanding customers can turn the kitchen into a pressure cooker. Finding some work-life balance can be tricky, but chef Jason Roberts has discovered a good solution – hitting the pedals. Growing up on a farm in New Zealand, Jason raced BMX for years until a knee injury made him have second thoughts and he gave it up. He didn’t get back on two wheels again until his mid-30s, when his dad, who had just been diagnosed with type 2 diabetes and was on a mission to improve his health, taught him to ride a road bike. 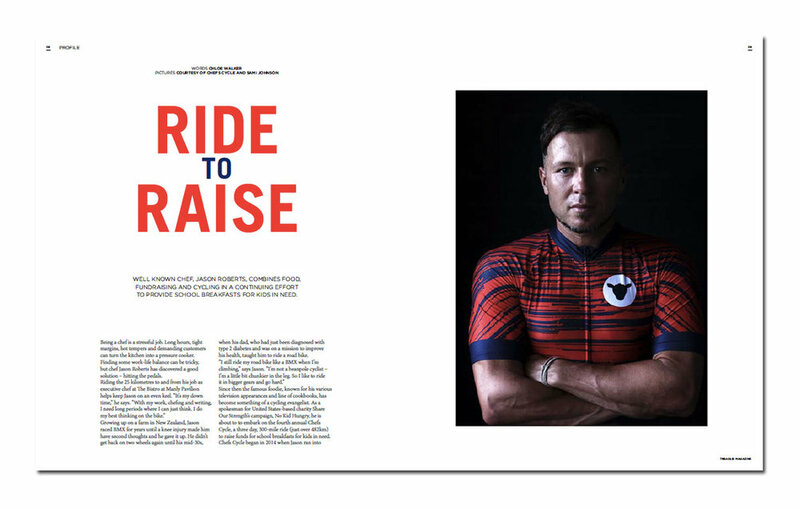 Since then the famous foodie, known for his various television appearances and line of cookbooks, has become something of a cycling evangelist. As a spokesman for US charity Share Our Strength’s No Kid Hungry campaign, he is about to embark on the fourth annual Chefs Cycle, a three day, 300-kilometre ride to raise funds for school breakfasts for kids in need. They decided to try it out as a fundraiser, and three months later Jason led a peloton of ten chefs from New York City to Washington DC. They raised just under $25,000. The following year they repeated the journey with 25 riders, and another 25 on the other side of the country riding up the California coast. This time they brought in just over $330,000. Then last year, over 100 chefs on bikes took on the California challenge, to the tune of a cool million. While it’s easy to picture Jason smashing it out at the front of the pack, as the face of Chefs Cycle he often has to take on more of a coaching role. Even though many of the riders are already seasoned cyclists, some are restaurant workers who are trying to do something for their health or just to give back to the community. These riders often need a morale boost from Jason or one of his veteran riders who now act as team leaders.